(CNS): Despite high tourist arrival figures over the last six months at both the port and the airport, April saw a decline in cruise passengers while stay-over visitors continued to show a marked improvement. According to this month’s Department of Tourism statistics air passenger arrival numbers were the highest for April since 2004 with 30,824 people visiting the island. This was an impressive 12.7 percent increase on air arrivals in April 2010 which was again fuelled by a significant increase in passengers from Canada. However, arrivals from across the United States and Europe were also up, even visitors from UK and Ireland showed a 29.2% increase on 2010. Meanwhile, however, in keeping with recent complaints by tour operators, taxi drivers and business owners in down town George Town, cruise arrivals fell last month. Following a number of warnings that the cruise figures would begin to decline as the new class of mega cruise ships now plying the Caribbean are dropping Cayman from the schedules cruise arrivals fell by 8.7%. Less than 147, 000 people were on board the ships which docked in Cayman throughout April compared to almost 161,000 last year. However as January, February and March saw higher cruise arrivals this year when compared to 2010 the year to date figure at the George Town port is still better than last up 3.9%. However, arrivals at the airport are up over 8% so far this year with the arrivals from Canada up by 41% as a result of the new direct flight service by WestJet between Grand Cayman and Toronto. Canada now accounts for more than 10% of the passengers flying into the Cayman Islands. While the new airline has helped boost the figures from Canada flight arrivals from the US are still up more than 6% and from Europe by more than 11%. April also saw occupancy rates in apartments improve and although hotel occupancy remained lower in April than last year apartments and condos had an increase of over 8% in their occupancy rates. There are currently 4564 beds across 274 different properties. The average length of stay has also increase slightly among visitors this year, especially among those staying in apartments and condos. The Department of Tourism statistics reveal that the average length of stay has increased this year by a one full day with guests staying for average of 7.8 days. (CNS): With the help of a European Union grant of E550,000 over three years, work is now well underway on the creation of a second reserve for Cayman’s iconic and unique blue iguana, which is also earmarked to become a natural tourist attraction. The Colliers Wilderness Reserve in East End will eventually become a place where visitors will be able to see a population of blues, which are already being introduced to the area, living in the wild. Located east of the existing Salina Reserve, this new wilderness reserve will be accessible to visitors and become a self-sustaining nature tourism and educational centre. A Protected Area Planning Team has already been established for the reserve that has been working steadily behind the scenes. Made up of experts from the National Trust, Department of Environment, the Blue Iguana Recovery Programme and several other local specialists the team has been working on concepts for the reserve’s visitor centre. He said that underlying the work of the Protected Area Planning Team is a mandate to ensure that the reserve, including the restored population of Blue Iguanas, will be financially and ecologically self sustaining, once established and operating. The creation of the reserve has been made possible as part of a specialist European Union project focused on the management of protected areas in three overseas territories in the region – Cayman, Turks and Caicos and BVI. In the Cayman Islands the goal is to create the Colliers Wilderness Reserve which will not only provide another home for a second population of blue iguanas, but will also provide for a range of human activities which are compatible with the preservation of the wilderness, so that the protected area is a real asset to the local community, as well as a significant tourism attraction. 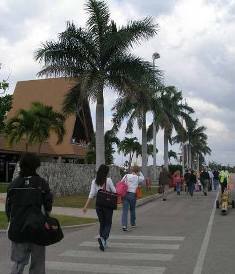 When the new protected area was leased to the National Trust by the Cayman Islands Government last year, there was no access either for pedestrians or cars.It was also affected by two gazetted road corridors which threatened the viability of the area as a nature reserve. Burton explained that since then the access has been resolved by the realignment of a minor road originally gazetted to run all along and within the east boundary of the Reserve, to connect instead to an existing subdivision road under construction from the main coast road at the very east end of the island which was gazetted on 23 May. Although the issue of any future extension to the East-West arterial still remains in question Burton is hopeful that the NRA will be able to curve the road around the reserve leaving it undisturbed. Burton and National Trust Chair Carla Reid, recently visited the British Virgin Islands for a meeting of the third Project Steering Committee and in the wake of that meeting the project’s Technical Assistant for finance and administration, David Elizondo Gimenez, is visiting Grand Cayman this week. The expert is holding workshop and other meetings to assist the local agencies involved with implementing the Cayman Islands component of this project. This week’s meetings with the technical assistant will prepare the National Trust to proceed with administrative aspects of the project and progress on several early project goals. A land purchase, key to completion of the Salina Reserve, is also included in the EU project and is an immediate target for completion. This year the Trust also expects to go to tender for provision of the solar power equipment which will be installed as soon as planning permission has been secured and access has been constructed. A grant from the AALL Foundation is already in hand towards this goal. The Colliers Wilderness Reserve will not be open to the public during the careful development of the sustainable nature tourism infrastructure. However, once phase 1 is complete there will be a formal opening — perhaps in 2013 or 2014 when the reserve will begin welcoming residents and visitors. 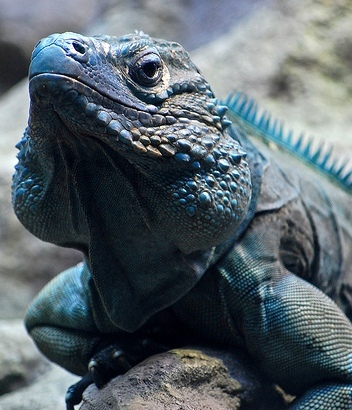 Meanwhile, a recent press article in the Czech Republic suggesting that a blue iguana had been acquired by the Prague zoo has set Burton and the recovery team something of a detective challenge. Burton told CNS that the zoo officials have been very co-operative and have agreed to send blood and dna samples from the iguana which will be sent to partners of the recovery programme in San Diego to be processed before being passed on to other experts in Puerto Rico for analysis. Once he has a dna profile of the iguana Burton said the team may be able to work out ‘who his daddy is’ and possible single out its relatives. Once the team has some ancestry they may be able to get to the bottom of how the blue, if it is in fact a genuine blue, wound up in the Czech Republic. (Yes Caibbean): A new word was coined this week Caymanserratian as Cayman Island entrepreneurs Luigi Moxam and Susan Barnes brought their energy and ideas to YES Caribbean, a conference for entrepreneurs held on Montserrat last week May 25 -28, 2011. Fashion Designer Luigi Moxam shared his entrepreneurial story during various sessions over the four-day event and got local teens to model some of his gear as part of his presentation. Moxam showcased how he merged his love for the Cayman Islands, his passion for social and humanitarian causes with his fashion label One Tree Four Five Collection. By the end of the four days, Moxam and Montserratian-born actress Dionne Audain had coined a new word Caymanserratian to define the new found connections and passion that was being shared and spread. (CNS): Government is looking for volunteer shelter managers for the 2011 hurricane season in all of the districts of Grand Cayman. Officials said people willing to take on the role must be responsible,dependable, mature and service-oriented with an interest in serving the community. Previous experience is not necessary as training sessions will be held next week. Shelter Operations, a Sub-Committee of the Hazard Management Cayman Islands (HMCI), is the agency responsible for managing shelters as well as coordinating assistance in the districts. There are currently 14 hurricane shelters and approximately 55 volunteers. Shelter Managers manage the shelter with a team of other volunteers. If you are willing to volunteer your time during this hurricane season, please contact Mrs. Lynda Mitchell, Department of Children and Family Services, on 949-0290 or 925-5346. Training takes place on 6 & 7 June at the Prospect Primary School Hall, commencing at 6:00 p.m. All participants will be certified. (Reuters): Switzerland still has "a big problem" when it comes to meeting international standards aimed at helping other countries crack down on tax evaders, the OECD said on Wednesday. The Global Forum on Transparency and Exchange of Information for Tax Purposes, which was set up under the auspices of Paris-based Organization for Economic Cooperation and Development, has credited Switzerland with making significant progress in the fight against taxcheats since it eased its strict bank secrecy in 2009. But at the conclusion of a three-day meeting in Bermuda on Wednesday, the Forum noted that some Swiss requirements governing the implementation of tax information agreements still hindered the effective sharing of information. Switzerland is the world's biggest offshore banking center and has long been known for putting a premium on privacy laws and bank secrecy. Among other issues, Switzerland has been criticized for being too restrictive and demanding too much detail, including the name and address of suspected tax cheats, from countries making requests for tax information under some agreements. "There is a big problem which needs to be fixed," said Pascal Saint-Amans, chief of the Global Forum's secretariat. (CNS): Offshore financial centres were to blame for the financial crisis, the movement of various dictators’ monies out of their countries and the US government’s ever-deepening budget deficit, according to speakers at this year’s OffshoreAlert Conference. Some of the biggest names for and against offshore financial centres came head to head during a panel discussion debating OFCs’ pros and cons, with Cayman’s own former Cayman Islands Monetary Authority chairman Tim Ridley up against the likes of Jack Blum, Chairman of the Tax Justice Network and long-time lobbyist against OFCs, as well as Nicholas Shaxson, the author of the OFC-bashingbook, Treasure Islands: Tax Havens and The Men Who Stole the World. Blum said that OFCs had developed an industry which helped organised crime take advantage of the tax benefits they offered. He pointed to the monies suddenly revealed as embezzled by Egypt’s former president Hosni Mubarak and Libya’s current leader Colonel Gadhafi and wondered how such monies could have been moved out of these countries and where it went. He wondered who set up these structures in the first place and said that there was a need to break such structures down. Fellow panellist Tim Ridley said in response that there was no doubt that everyone was in agreement that no one supported corrupt dictators and that there would be no objection by OFCs when it came to attempts to trace the proceeds of these ill-gotten gains. The idea, however, of nailing jurisdictions such as Bermuda, the Bahamas and the Cayman Islands as where the problem lies was “flat wrong” in Ridley’s eyes and he said that the problem was a global one and that crime needed to be rooted out wherever it was found. In response to Ridley arguments that, far from causing the financial meltdown OFCs played an important role in facilitating the movement of global funds, panellist Nicholas Shaxson said that this argument was “fallacious” and that big financial institutions were able to go offshore when they didn’t like regulations onshore, which was part of the reason financial institutions became so big that in the end they were “too big to fail”. Shaxson said that this was why such institutions now dominated the world. Ridley urged panellists Blum, Shaxson and Robert Roach, Counsel & Chief Investigator of the US Senate Permanent Subcommittee on Investigations, to listen and read a bit more carefully, quoting an Oxford University study discussing the financial crisis which stated that the fact that many of these entities were located in OFCs created confusion about the role of tax havens in the financial crisis. The study acknowledged that while off balance sheet vehicles in offshore jurisdictions did not contribute to the transparency of the system, the problems experienced by structured investment vehicles (known as SIVs) during the crisis were not due to their offshore location, but due to their off balance sheet status. (CNS): Scores of government employees were recognised last week for lengthy careers in the Cayman Islands public service. With no awards being handed out since 2007 the list of veteran civil servants was significant with 200 people being honoured at a special do at Pedro St James. The longest serving member of the service was Nellie McCoy who has served government for 43 years. Seven other public sector workers had also clocked up four decades. In applauding the employees Donovan Ebanks, the acting governor, who was himself awarded for long service noted the pressures faced by government workers. 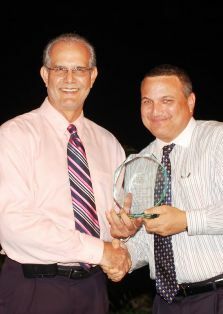 Meanwhile, James Watler, president of the Cayman Islands Civil Service Association, which co-sponsored the event thanked his members for their “steadfastness, commitment, loyalty, wisdom, perseverance and burning desire to get the work done. You have done commendable jobs, and can be justly proud,” he said. Forty year veterans included Lewie Ceato Hydes, Delores Solomon, Francine Gardner, Meredith Hew, Jenodell Myles, Michael Dilbert and Carolyn Parsons. The late Adora Bodden-Groome and Shirley Dinspel were posthumously honoured for their service. (CNS): With more and more Caymanians choosing to turn their hand to growing their own food a recent inaugural Agricultural Workshop saw more than twenty local farmers and garden enthusiasts complete the programme. 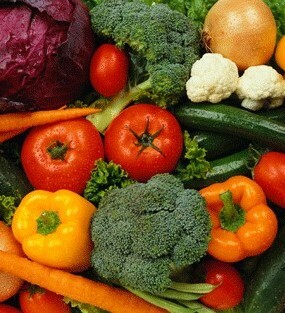 Offered by the Cayman Islands Agricultural Society, the Department of Agriculture and the University College of the Cayman Islands the eight week course covered plant propagation, vegetable production, hydroponics, pests and disease control among others to help growers improve their results. Courses were taught by Dr. Joseph Jackman and experts from the Department of Agriculture and participants recently received their certificates at a ceremony held at the Stacey Watler Pavilion. Bodden pointed out that societies which are able to produce the food that they consume without having to depend on other jurisdictions are greatly advantaged as he asked everyone tocontinue supporting and encouraging local farmers. More workshops and programmes are already in the works and a course on livestock is already underway. (CNS): WestStar TV the islands' television service provider is encouraging customers to sign up for its e-billing service in order to cut down on paper – and of course posting costs. Taking a carrot and stick approach the firm said customers who sign up now are being offered the chance to win prizes but by September people who are still asking for paper bills will be charged a fee. The e-billing, is the firm said, part of the company’s goal to reduce its carbon footprint. This month, customers who sign up for e-billing will be entered to win one of three 64 GB Apple iPads. “We are encouraging customers to sign up now for e-billing as we prepare to add a service charge for printed bills as of September 1st,” Director of Operations Traci Bradley said. Internally, WestStar officials eliminated the use of disposable cups for water and coffee, giving each employee a canteen and travel coffee mug encouraging staff to avoid unnecessary waste. The company’s headquarters at Television Centre are being outfitted with motion sensors so lights will only come on when someone is actually using the space. This is in addition to the energy-efficient lighting which was installed last year. And most recently, an internal “Green” committee was formed to continue to find and implement new ways to reduce, re-use, and recycle. 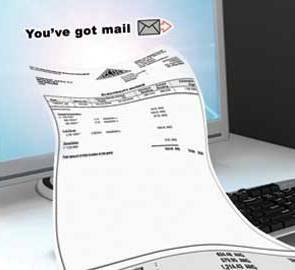 WestStar is the third telecommunications provider in the industry to introduce a fee for printed bills with Digicel leading the market in 2010 and Logic announcing last month they will be charging for printed bills. WestStar officials hope the community will support this initiative and sign up for e-billing by emailing a request to support@weststartv.ky or by calling 745-5555. The draws for the Apple iPads will be done on Daybreak June 30th, August 2nd and August 31st. The firm said customers can also save gas by signing up for direct debit, or paying their WestStar bills at any of the Islands’ District Post Offices. (CNS): Government has not yet given the East End Sea Port a green light, officials said Wednesday, although the premier has said he thinks it is a worthwhile project that could diversify the economy. Criticising a report on CNS, the premier’s press secretary has issued a statement that no announcement has been made on the project and that the law which has been drawn up by the developer is merely a draft for proposed legislation. Speaking on behalf of McKeeva Bush, his press secretary said if government decided to support the law there would be a full public consultation period before it was brought to the country’s parliament for approval. Charles Glidden described a report on CNS that government was intending to pursue the project as a “vicious and malicious lie”, despite recent comments made by the governor. In last week’s Throne Speech, which reveals the government’s intention’s for the next financial year, the governor said that in the “area of development ongoing plans include a new cargo facility in East End.” However, the premier’s press office said that this comment was not an announcement that government intended to go ahead with the project. 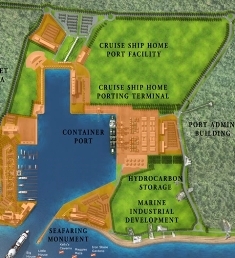 With community-wide concerns that government does intend to proceed with the commercial port at High Rock in East End as proposed by private developer and land owner, Joseph Imparato, Wednesday’s statement denies that any commitments have been made. Nevertheless, the government said it was pleased that the developer has completed the Environmental Impact Assessment (EIA). The EIA has been published in full by the developer on his website. Aside from identifying the significant environmental risks and what mitigation could be undertaken, the EIA also reveals the details of the legislation the developer has requested that would create a special development zone of some 1,500 acres on the site of the proposed project at High Rock in East End. This zone around the facility would circumvent the normal planning laws as well as exempt any development in that area from duties, fees and taxes. The premier’s press secretary stated on Wednesday, however, that this was only a draft proposal for legislation and that any law that was implemented would be reviewed by the legal department. “If the Cabinet found that it could support any draft legislation, prepared by any entity outside of government, the Legal Department would have to satisfy itself that that draft legislation is in the best interest of the Cayman Islands,” Gidden said on behalf of Bush. He said that this draft legislation would then go to the people for consultation and input, then Cabinet, before it would be taken to the Legislative Assembly for debate. “While the Premier thinks this is a worthwhile project that can help diversify our economy and give it a solid backbone for the future, this project has not been given the go ahead by the government,” the press secretary’s statement said. On pages 44 through to 47 in the Environmental Impact Assessment the proposed legislation drawn up by the developer is set out in detail. See the press secretary’s statement below.